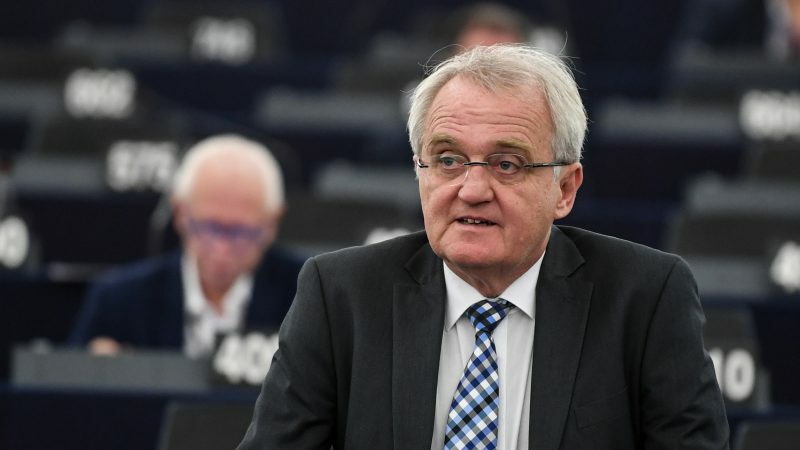 Rainer Wieland (CDU) has been a member of the European Parliament since 1997 and has held the post of vice-president since 2009. He is also president of the largest non-partisan citizen group for Europe in Germany: Europa-Union Deutschland. The issue of fair taxes has become one of the main concerns of EU citizens, not least because of the French ‘gilets jaunes’ movement. Do you think this issue endangers European cohesion? The populist problem became even bigger when the established powers started to become more populistic themselves because it generated a competition of promises. And there is one thing populist parties do better than established parties: making promises. The populist is always able to easily take it one step further when it comes to the competition of political promises. But as soon as they need to deliver, they are at a loss. In Italy, we see how difficult this is. That is why, even if it seems difficult, we need to enter the competition of delivering on promises until the last day of the legislative period and do our homework – even if we do not see results worthy of popping champagne corks on 26 May. Generally, I believe that we need to do politics step by step and speak less of how we expect the world to be. The example of the ‘gilets jaunes’ is clear on this. The fact that the movement is a reaction to a petrol issue can be explained by the fact that the French public transportation systems are less developed than in my home country. This means that as soon as cars are no longer driving and traffic is heavily reduced, people are more vulnerable to mobility costs than in other places and have therefore protested against the price hike of petrol. So far, no one was able to take over the cause of the ‘Gilets jaunes’. And the group itself could not clearly position itself with regards to political issues. I think it is therefore important, particularly in relation to the ‘Gilets jaunes’, that citizens should not simply be reduced to a wave of protests. Rather, they are considering whether to choose a miracle bag of which no one knows the contents. Let’s continue discussing the issue of fair taxation. What changes to EU fiscal policy would be the most meaningful? First, there is the question of what is understood by fair taxation. I would say that for a first step it would be more than adequate if the tax bases were harmonised. This would give some visibility on what is actually being taxed. It is of little use if one country’s tax rate amounts to X and another country’s tax rate amounts to X plus 10 when completely different facts are the basis for taxation. The tax base needs to become a ‘level playing field’, on which the tax level should be turned towards. Yet, I do not believe that we will agree on standardised tax rates. What appears more likely is a tax corridor as it better matches reality. If a country’s tax rate stays below the tax corridor, one could conclude that it obviously does not need higher taxes. One would rightly question why money from EU funds should be flowing into that country. If a country’s tax rate lies above the tax corridor, then one could say that more of the contributions that it takes should also be redirected into the EU pot. That would be my ideal: a tax competition within a corridor based on a clear, visible and uniform tax base. President of the Bundestag Wolfgang Schäuble called for a shift away from the principle of unanimity. What are your thoughts on this? I would like to emphasise the importance of this idea. At the same time, however, it must be clear to everyone that member states could have very different concepts on which policy areas should see their respective unanimity rules abandoned. We will not be met with much enthusiasm if we tell other countries to raise their taxes, particularly if we are from a country where taxes are relatively high. They will be saying: “it is detrimental to our location advantage. If we even do that, it will be on condition that majority-based decisions are also introduced in other policy areas.” It may well be that the Germans, the French or even both are not that enthusiastic regarding majority decisions being applied to other fields. But in the end, I think that it can work well as a package, with the Council of the EU and the EU Parliament acting as legislators on several issues and the Council of the EU deciding by double majority. Moreover, these questions will quickly show that it would often be better for the Council of the EU to seize the opportunity of the Treaty of Lisbon and make public its meetings and discussions on these issues. This possibility is not sufficiently applied in practice. What are your thoughts on the seven-year long financial framework? We need to move away from it. Of course, that will not happen overnight. Mr Oettinger attempted to introduce a five-year financial framework, but this has not seen much success for the moment, even though I do not see this initiative as being overambitious as a first step. I would imagine that such a five-year period always starts in the year N + 2 or N + 1, meaning that it is always in the first or second year after a European election. This would mean that the newly appointed Commission could work together with the newly elected Parliament. Planning the world seven years in advance is absurd. In Germany, we have one or two-year budgets and I would consider that to be a reasonable duration for a budget backed by a flexible medium-term financial framework. But another question seems to me more important and urgent: every seven years, member states stage a bazaar. You do not have to study maths to know that ‘I want to pay less but get more’ simply cannot work. Every kid in school understands this concept and I do not understand why some behave as if it could work out. We should put an end to that. We need a dynamic or automated revenue stream for the EU, either based on its own real resources or tax share levied by member states. This revenue would vary in accordance to new developments in each member state. Since 2011, you’ve been president of the largest non-partisan citizen group for Europe in Germany: Europa-Union Deutschland. It organises citizen consultations across Germany. What makes citizen consultations so special? The citizen-consultations-format can be very successful. The number of attendees is higher than five years ago, and these are higher than five years prior to that. I believe that the group is so successful because we are non-partisan and because our most important task is to take leadership in discussions that need to take place. In our case, listeners are not being exploited in a party-political manner. In our citizen consultations, the listener can listen to different solutions and arguments and form their opinion based on them. Does this mean that citizens feel they are being taken seriously? Not only that. Citizens who claim to not understand politics at all and often do not dare to ask questions, are also participating. Between professionals in politics and protestors, there is a grey zone in which citizens move in a spiral of silence. At the citizen consultations, they get the feeling they are being heard and meet political protagonists with whom they may agree. This is key: not only are you being heard but you also find people who think similarly.